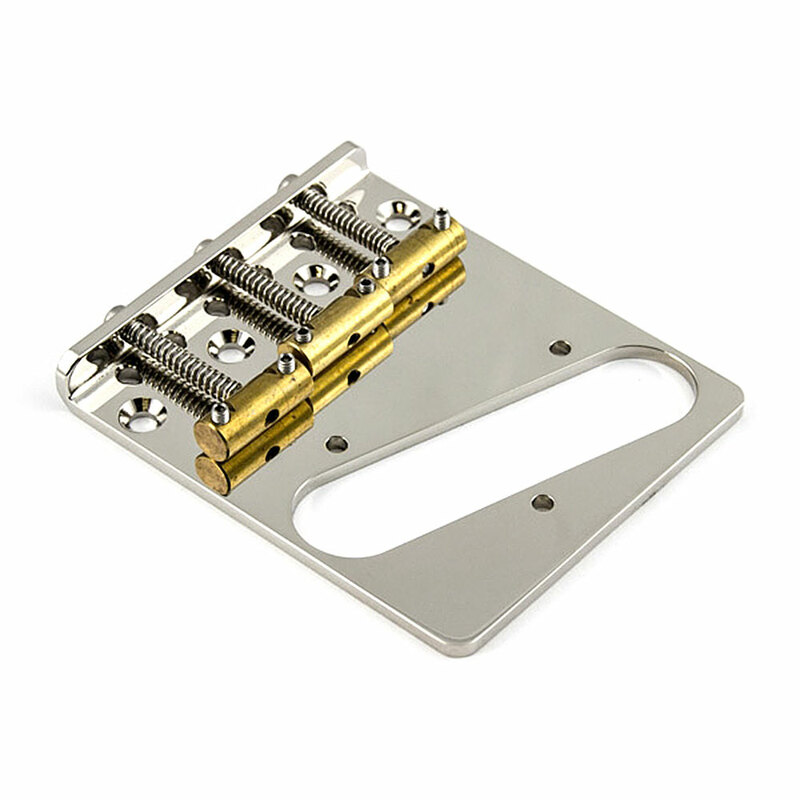 The ABM 3455 is a premium quality Telecaster bridge with vintage style barrel saddles. The modern 3 mm thick base plate is made from brass and is a strong and stable design over the vintage 'ashtray' style without removing the tele twang and the bridge features traditional brass two string per 'barrel' saddles that are compensated with specially shaped string slots that stagger the break point of the strings (so for example the b string starts vibrating further back than the high e string as normal for correct intonation), the shape of the slot stops the string buzzing against the barrel saddle and they are also height adjustable. The bridge uses string through body anchoring (rear body ferrules included) and the string holes in the base plate have a smooth bevel to ensure the strings do not rest against a sharp edge. Complete with all the mounting holes for Telecaster style bridge pickups.